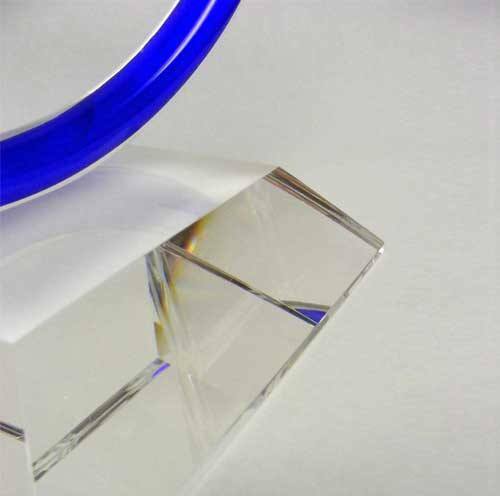 The minimalist and modern award features a hand blown circle as the main body of the piece. 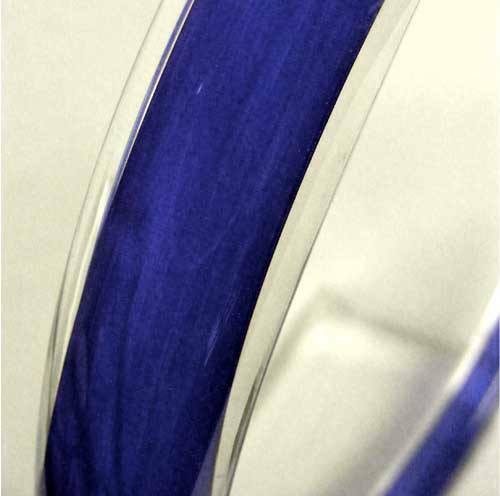 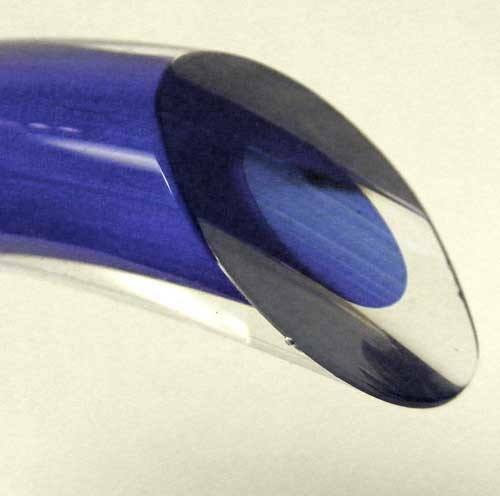 The tubular circle in a warm royal blue rests elegantly upon the crystal base. 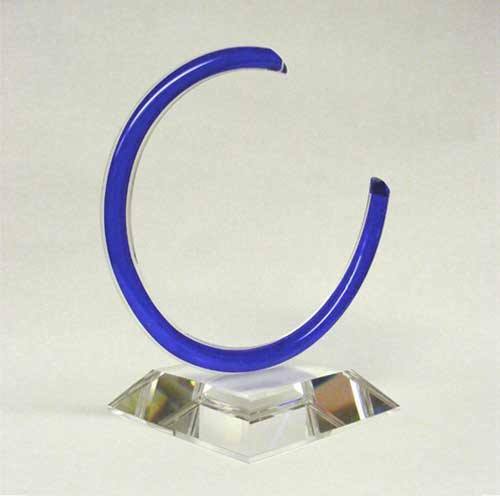 Sharp lines contrast with the curved body to stunning effect producing an award that resembles fine sculpture, pushing the boundaries for what an award is.